This is an urgent care, where you would go during a dire situation, but it takes forever to register through theipads and scan ur insurance card by yourself, standing. I was not in the mindset to do so myself because I was in pain. That alone already makes me not want to come back here. This is an urgent care, where you would go during a dire situation, but it takes forever to register through the ipads and scan ur insurance card by yourself, standing. Iwas not in the mindset to do so myself because I was in pain. That alone already makes me not want to come back here. The Medical Assistant was amazing. She got My infants stats right away and was very accommodating. The MD was thorough andmade sure my baby was keeping down my breastmilk. We went in for my 16 mo old presenting severe vomiting. Overall the office staff were pleasant and the office was clean. I appreciate the coffee station they had out for us. The Medical Assistant was amazing. She got My infants stats right away and was very accommodating. The MD was thorough and made sure my baby was keeping down my breastmilk. Wewent in for my 16 mo old presenting severe vomiting. Overall the office staff were pleasant and the office was clean. I appreciate the coffee station they had out for us. 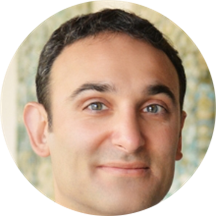 Dr. Djavaherian started his medical career working at New York-Presbyterian Hospital, The University Hospital of Columbia, and Cornell, where he developed clinical skills in emergency medicine and served as Chief Resident, receiving multiple awards. He also served as an instructor for the New York Academy of Medicine's course in Evidence-Based Medicine and as physician lead for Emergency Medical Informatics in the Division of Emergency Medicine. Would not recommend. The staff was not transparent about how much they would be able to help if I had a fracture. Basically if you suspect there is a specialist follow-up needed, go to the specialist. Very modern and clean facilities, attentive staff. Do not go here. They send lab work without your consent and make you pay for their mistake. I’ve been speaking to Emilyann since my visit (5 months ago) who said she’ll take care of the bill, now I have debt collectors calling me. Had a wonderful apointment with one of the other doctors at the clinic who was incredibly helpful , kind, and thorough. Really a great experience. Great doctor! Informative and friendly. I would definitely see him again! Everyone in the office was efficient and friendly. The office itself had a professional yet welcoming vibe. Everything they told me was clear and to the point. Would recommend this facility.